I had a hoot with this one. 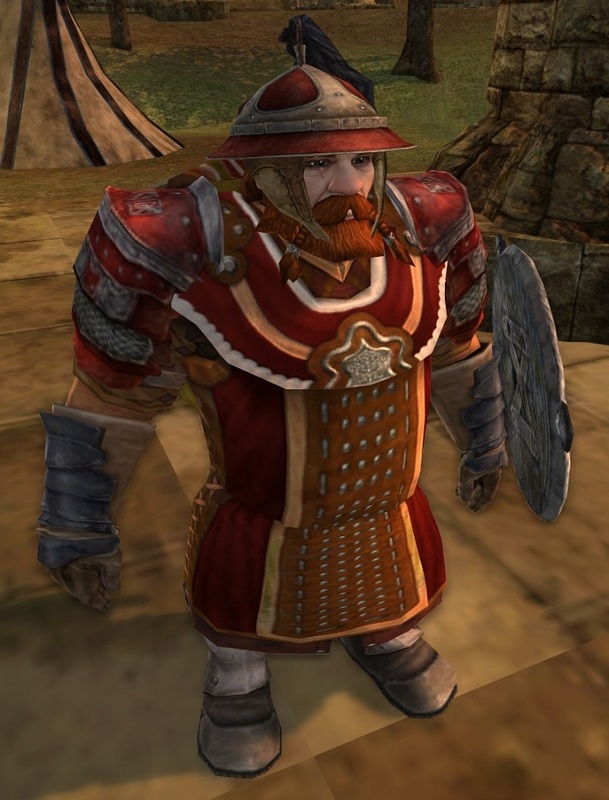 My spokesDwarf Gundri was still wandering around Esteldin considering outfits when I nearly ran over a very…bright…Dwarf. Thranin Alehammer can be seen from three mining-tunnels away! 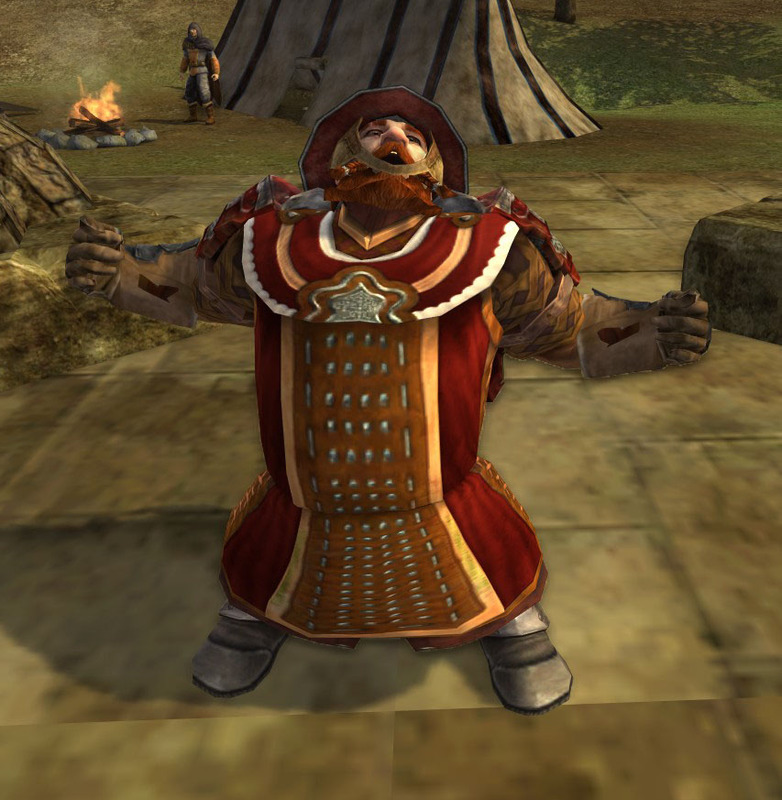 Thranin caught my eye because I’m currently obsessed with hauberks, and I like how the undyed portion of his Leather Hauberk is reflected in his beard, while the red portions are echoed in his pauldrons and hat. Also, except for his boots, his entire outfit can be acquired by someone under level 30. Finally, I love how the chin guards of his helm angle inward and his beard outward. It’s a really pleasing detail. This is after he /flipped for me. 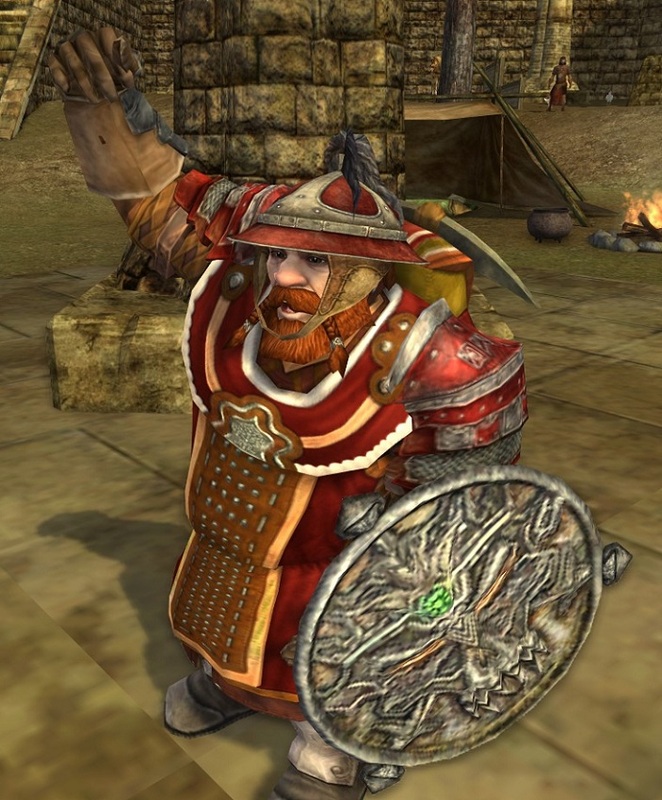 An airborne dwarf is something to see! 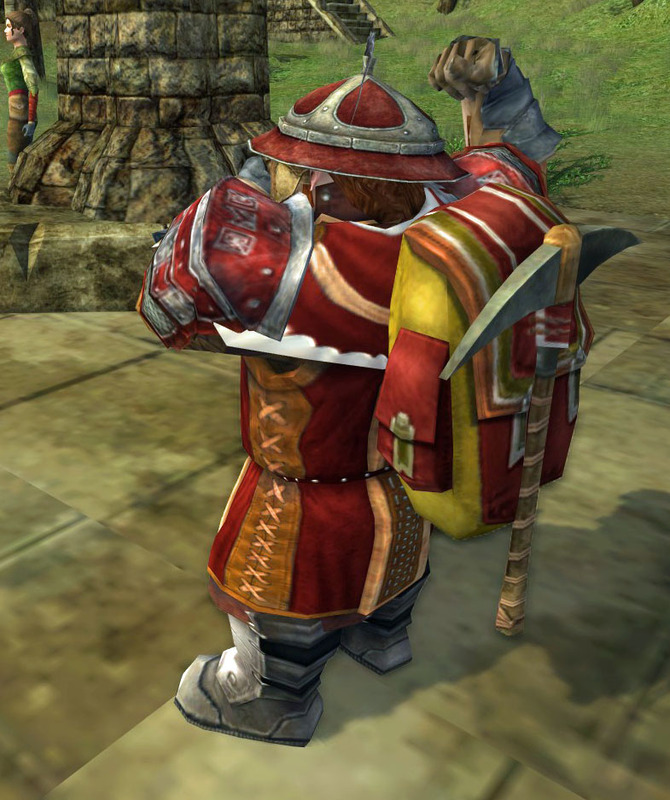 Also, I really enjoy his use of the Sturdy Prospector’s Pack. “For power and profit!” he cried at the end of our screenshotting session. I had actually just switched out the boots a few moments before the photo shoot. I’m usually wearing a pair of Dwarf Leather Boots dyed gold. They match the yellow portion of the Prostpector’s Pack perfectly.